The last time Geoff Nostrant of Silvercord released an album on Earth Mantra, his majestic Bioluminescence, it was a rerelease of a classic ambient album that he had self-released in the past from his own web site. Today, we have the pleasure of rereleasing yet another classic album by this supremely talented artist, this time a stunning and passionate collection of light ambient epics called Symphony of Sighs. As lovers of great ambient music, we have always been admirers of Geoff's work, particularly his ability to imbue his music with such powerful and uplifting emotion. But surpisingly, his original distribution of this album somehow didn't make it onto our radar when it was first released. So when he presented this album to us and asked if we wanted to release it through our label, we were literally shocked by what a powerful set of music this is. Folks, this is some of the most exhilarating ambient music we have ever heard. We could go on and on about how Geoff builds up dazzling walls of sound, where each layer masterfully interlocks with those surrounding it. We could talk forever about how beautifully the music evolves, how it advances and recedes like tides of brilliant light on a beach somewhere in heaven. We could attempt to describe how utterly glorious his sound design is, about how the crescendos literally bring tears to our eyes. We could try to tell you in words about the sheer opulence of this music, about the elegance of the compositions and the cosmic scope of the material. But we would ultimately fail. 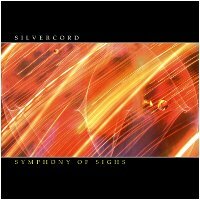 For this album, Symphony of Sighs is simply beyond words. You'll just have to download this album and listen for yourself to get a sense of what we are talking about. This truly is one of the classic ambient releases of all time, one that we are exceedingly proud to be releasing through Earth Mantra. In our opinion, nothing less than music for the ages. It's both drifting and attention-grabbing at the same time. Beyond beautiful. Warm and beautiful ambient. Light and uplifting, yet there are things going on throughout the pieces to keep you attentive. Listening to the music creates sensations of awe, wonder and serene contentment. It is music that makes you feel the fascinating and remarkable things in life - the stars and the milkyway on a clear winter night, the fragrant sweetness of a summerbreeze, a clear blue ocean in a distant land somewhere ...very nice album. Can we cuss here? 'cause holy sh**, this album is amazing. Unbelievably good. Humbling. Wow! Those feelings grown with this pure music enrich the sphere of thoughts on Earth. The moment becomes eternal. Again, Geoff, you've outdone yourself. I really can't put into words what your music does for my spirit. All I can say is thank you for all your hard work, talent, and soulfulness. I also thank the universe for bringing this all about. Cheers and Congrats!